Fred Faour has worked as a scale technician and salesman in the Georgia and South Carolina area for the last seven years. Prior experience also includes information technology (IBM) and BICSI certified communication, surveillance, and audio installation. 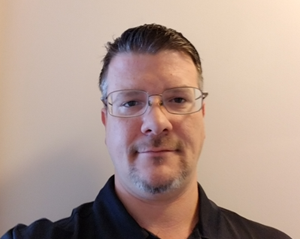 He has factory training in scale electronics, truck scale installation, forklift scales, programming, and customer relations for sales and service. He has many years of experience in repairing scale brands from Avery Weigh-Tronix, Cardinal, Fairbanks, Toledo, Rice Lake, B-TEK, and GSE. His experience has included many major jobs including creating quality control systems for food manufacturers and automated production systems for industrial production. He loves working with customers to assess and exceed their scale needs as well as making sure the data from those operations gets to the right people. He takes great pride in creating technically advanced solutions for project requirements. He is licensed in Georgia and South Carolina for scale certification, installation and repair.